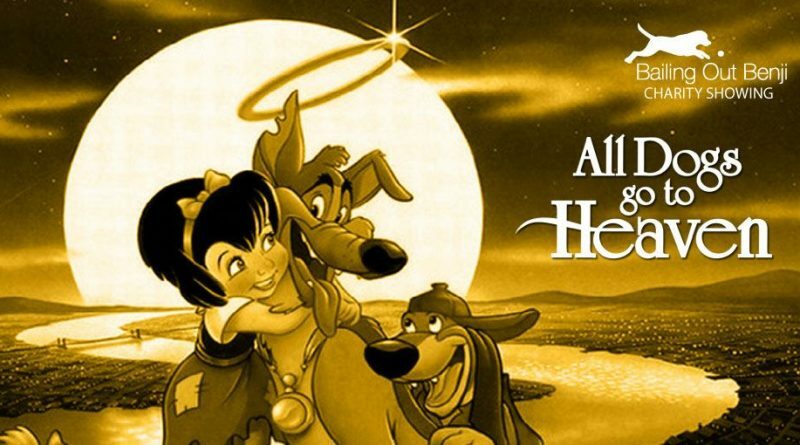 Flix Brewhouse presents All Dogs Go to Heaven (PG) on Saturday, September 8, 2018 at 11:00 am. It’s Puppy Mill Awareness Week at Flix and we’ve partnered with the organization, Bailing Out Benji, to help put an end to puppy mills. Charlie B. Barkin, a rascally German Shepherd with a shady past, breaks out of the New Orleans Dog Pound with the help of his faithful friend Itchy. He then makes tracks to reunite with his gambling casino partner, a shifty pitbull who has planned a dastardly, and potentially deadly, double cross.